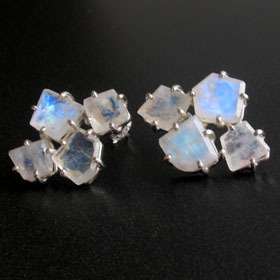 Here you'll find rainbow moonstone studs, moonstone drops, moonstone dangle earrings and moonstone hoops. 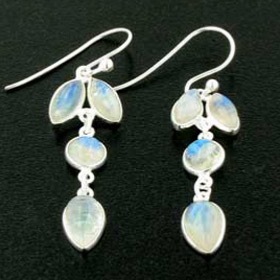 Rainbow moonstone has a beautiful schiller - an electric blue light which floats through the gemstone. 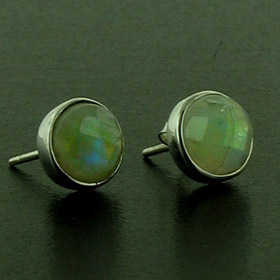 You can also sometimes find shafts of rainbow colours. 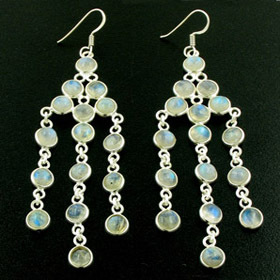 Moonstone earrings make a great June birthday gift. 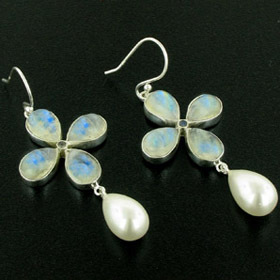 Moonstone is the June birthstone. 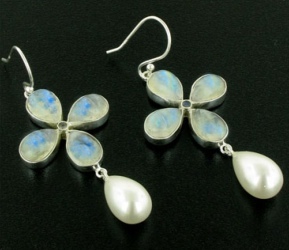 Free delivery anywhere in the UK! 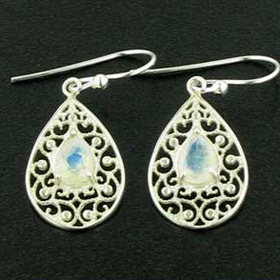 Faceted moonstones claw set into a filigree tear drop.